So, if you are a budding shutterbug or working in the process of becoming a professional photographer, it is imperative you must know about the different cameras available in the market, particularly the lens. When it comes to portraits, how do we determine which lens is the best? Apart from your personal photography style, the budget and make of the camera are other vital factors that you cannot afford to miss out on. Besides if you are planning to become a pro at it in the days to come, investing on the high-quality lens is of supreme importance. To arrive at the basics, what is a portrait lens? Any type of lens that provides the right focal length and aperture qualifies to become portrait lens. There is no special type of lens used for a zoom, prime, telephoto or even kit lens can be used for this purpose. However, the best is those that offer a focal length of anything that ranges between 70 to 135mm, with moderate and wide aperture and at the maximum. This usually allows low-light performance and the depth-of-field is also quite shallow. The type of camera- like full-frame or APS-C. The preferred portrait shooting location. Kind of portraits to be shot. The exactness of the subject’s body that must be included in the photo. Below mentioned are four major types of lenses that can be utilized for portrait photography. Recommended for you: Best 85mm F/1.4 Portrait Lens for Nikon F Mount Digital SLR Cameras. 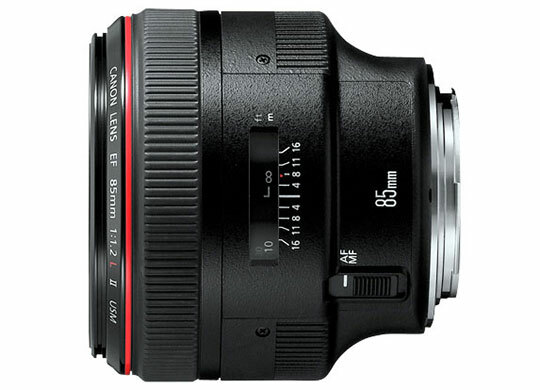 Attractive and impressive in performance, the Canon EF 85mm f/1.2L II USM Lens employs a typical ring-type USM and the CPU is extra fast; all of which helps in getting an autofocus speed that is close to 1.8 times the original. This lens performs really well in few sports photography situations but then shooting such at f/1.2 is difficult if not used with the correct DSLR camera. One thing that must be said is that the USM lens used is the front-focusing lens and that stretches a small amount at the time of focusing. 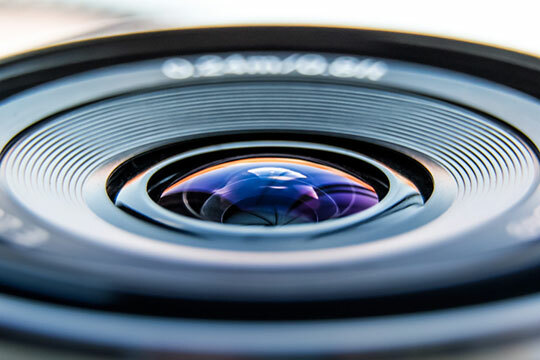 Users are required to be careful when changing lens so that the rear lens element is not scratched as it lies right at the back of the lens mount, which makes it likely to be damaged. The USM lens is basically the ‘master of background diffusion’ if the 8-blade diaphragm shaped as a circle with f/1.2 aperture. The light-gathering capability is equally good. Besides, it’s equally effective at taking indoor sports photos, thanks to the great center sharpness. In fact, Canon prides in this low-light lens for handholding at the time of events making it one of the ‘best wedding lenses’. Excepting for the weight or density of the lens and of course, price, there isn’t much to add to detriments. This one surely would excel in many aspects and is a must use for portrait users. We rate this lens 9 out of 10. 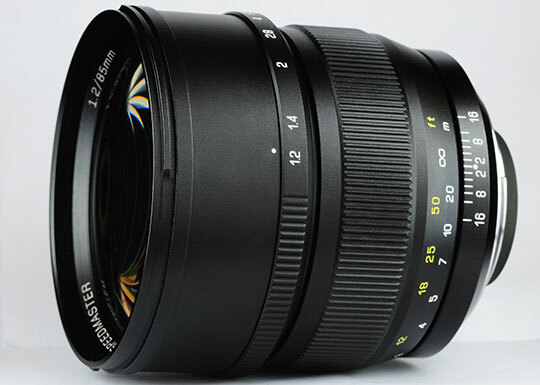 The Mitakon Zhongyi Speedmaster 85mm f/1.2 Lens is ultra-fast and provides unimaginably well optical performance. Given the maximum aperture at f/1.2, the shooting occurs in a pretty hassle-free manner and without flash under low lights. 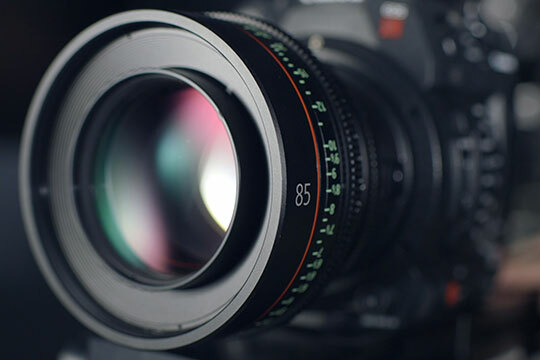 The lens contains a total of 9 elements in 6 groups with 2 pieces of very-low dispersion elements and 4 pieces of high refractive index elements. The image quality will surely make anybody take a liking for it, thanks to sharpness and open width at f/1.2. So even when the corners appear soft, it suits the eye with ‘minimal vignetting’. One thing that surely deserves a mention is the all-metal lens barrel that contains focus scales and printed depth of field. A metal lens mount is also given to provide extra durability between lens and camera. The presentation and packaging win the battle. The metal barreled lens has extra protection rendered by the two-tone faux leather case, so it looks extra luxurious. Given market competitors like Canon and Nikon, this one is a deal available at a pocket-friendly rate. The only problem that can surface here is the manual getup, which however doesn’t create much of an issue. But then, the communication between lens and camera or rather, total lack of it can be a headache! When it comes to finer details, it’s a little tough competing with market leaders, but it’s not lagging behind either. We rate this lens 8 out of 10. 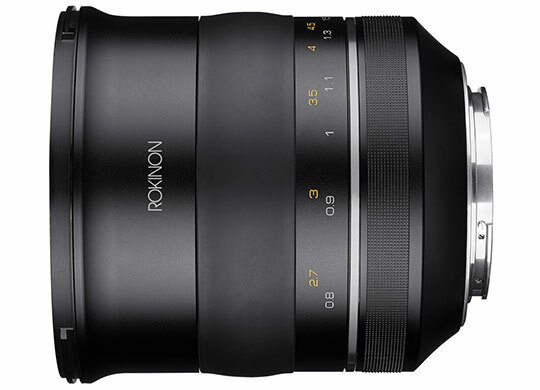 Rokinon has acted smartly to give the lens’s design a metal and rubber finish. True that it’s manual, but when shooting using it in a studio style, it w3ill invariably give an impact that most would marvel at! The image quality derived after clicking with it looks absolutely stunning, cinematic for the most part. In particular, the color rendition is worth appraising owing to the matte look it imparts. Thanks to the ultra multi-coating that when combined with few individual elements reduces flare for extreme color neutrality and contrast, especially when working under very strong lights. 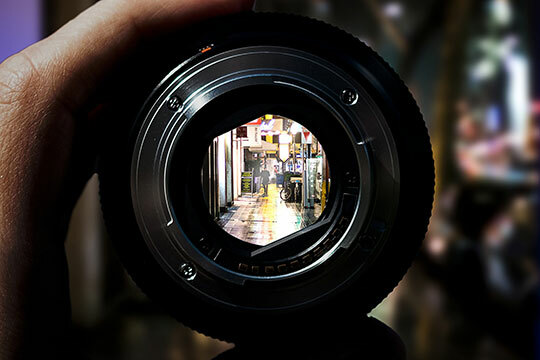 Not to miss out, the nine-blade diaphragm is the reason why a very eye-pleasing and smooth bokeh quality is obtained. The image quality is the favorite here. The kind of matte color rendition that users get with this is something most manufacturers should vie for when engineering inside their lenses. Also, the sharpness deserves a mention, especially for the fact it doesn’t become overbearing. The autofocus and weather sealing are aspects that leave chances for improvement. Ideally, it’s so good in a digital world because of the aesthetic appeal and worthy digital standards it maintains. But that’s best suited to experts. Overall, a must-try for portrait lovers. We rate this lens 9.5 out of 10. XP stands out among lens for extraordinary ‘expression’ ability that helps in using a shallow depth of field with very bright aperture. Reality said it’s huge! But then the camera body matches with the lens because it’s designed in that way. To an extent, it is inspired by Zeiss as you see the very minimal look and smooth contours. Another good adorning is the rubber focusing ring that helps in the movement of the inner barrel of the lens towards the exterior, keeping the latter same in length. The 50 mm lens is truly versatile, for one can use it with any subject and deliver optimum performance too. No matter what the movement, the lens captures even the slightest one, light change or wind too and all because of the great optical technology and power in resolving. The shutter speed is faster in very low lights and adds considerable depth if you wish to blur the background. Overall, the image quality is crystal clear since chances of flare and ghosting effects are substantially minimized. Despite being on the heavier side, it, however, balances the overall structure of the camera. The design is equally good. The manual focus design actually helps in precisely controlling over focus and the aluminum alloy is durable and lightweight too. One major issue about this lens was that no EXIF data like lens specific information, focal length details, aperture value and such were present. This gets difficult for those who like testing lenses. However, it is truly value for money and definitely with competing with high-end companies who have already created their own niches in the market. If everything provided by this suit you fine, there’s no reason why you must not go for it. You can check for sample photos first before zeroing on it. We rate this lens 9 out of 10. The above-mentioned list, however, is not an all exclusive one as there are more than meets the eye! If you feel like investing your hard-earned money on this, remember to focus on aspects like focal length, high lens speed, a small number of optical elements, lens bokeh, number of aperture blades, the optical quality of lens, flexibility and image volume. These factors must be considered regardless of the company or model you choose as your lens for the camera. To put in simply, any lens can be used when recording the most important aspects of portrait photography. But the target lies in obtaining the best. So why not choose lenses having a medium telephoto focal length? Also, they must have a wide aperture and help capture pleasing images that would give the person being clicked a feeling of happiness after looking at the final result. For the best ideas, you can also talk to experts; read some more on their experiences, start taking baby steps towards it and eventually, the process will be a success in no time. It’s all about how you wish to improve and using the right lenses makes the job easier.